We decided to finally be tourists on our last day in Macau. :) This is Senado Square. 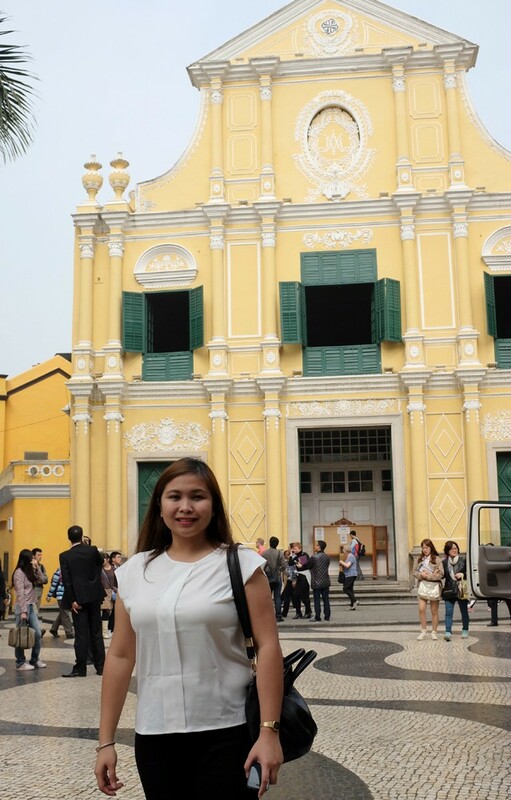 Senado Square is one of the popular destinations in Macau. 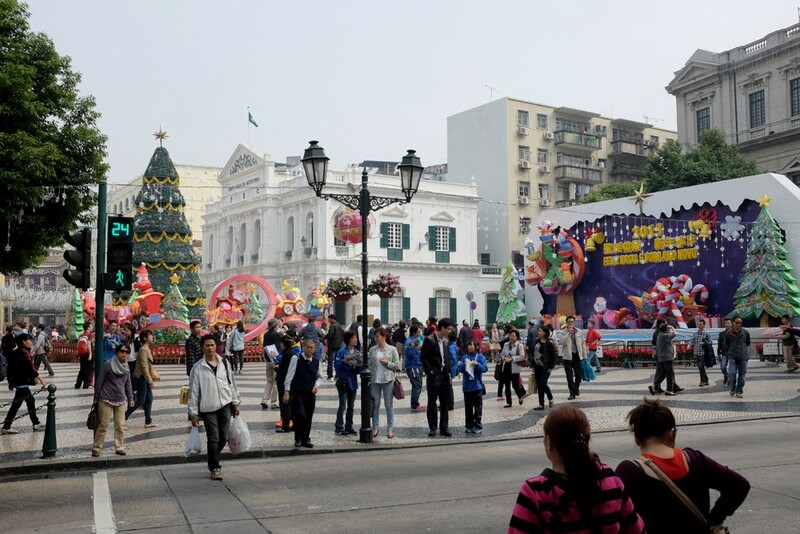 The square is part of the UNESCO World Heritage Site "Historic Centre of Macau". 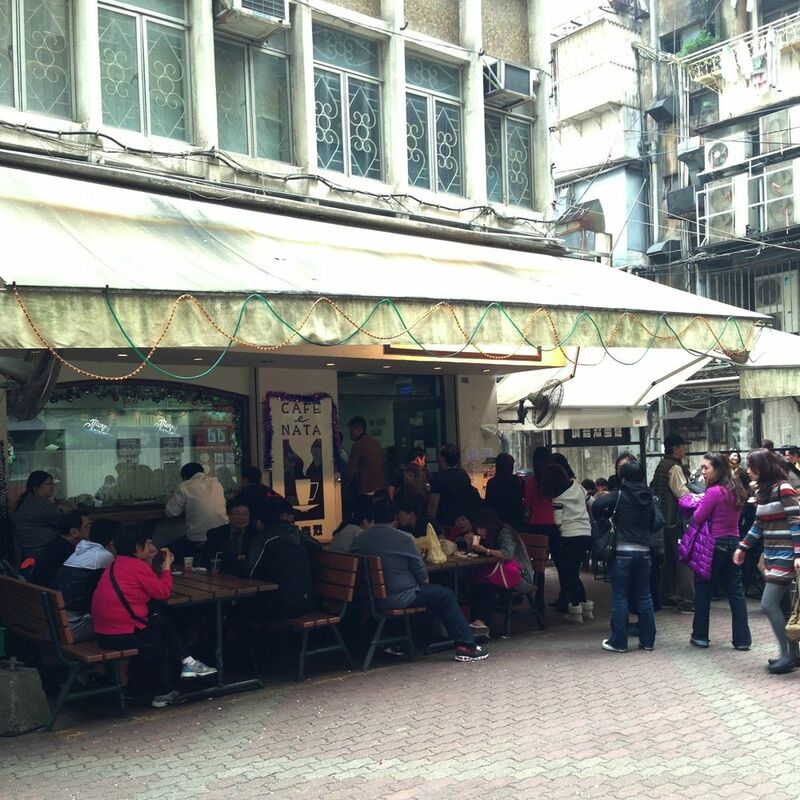 It is filled with shops and enclosed by old buildings that date way back the Portuguese colony. The streets around the area is paved in traditional Portuguese pavement. 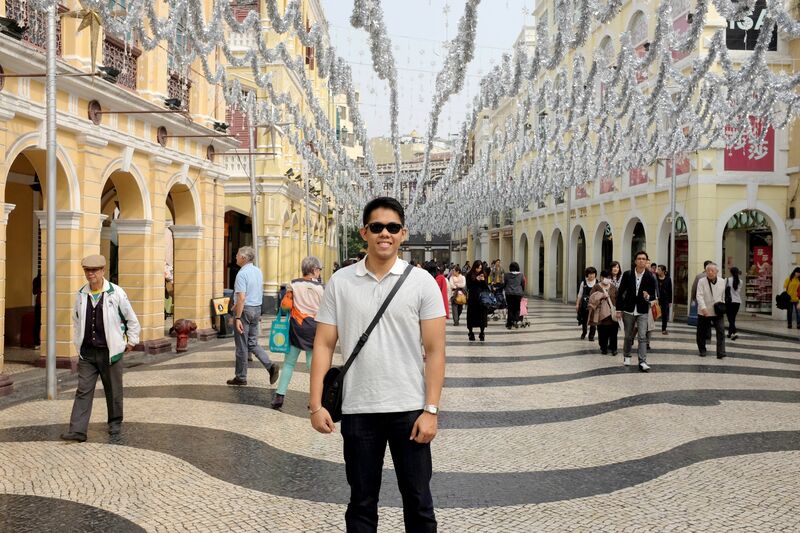 If you plan to visit Senado Square I suggest going there on a weekday where there's less crowd compared to weekends. 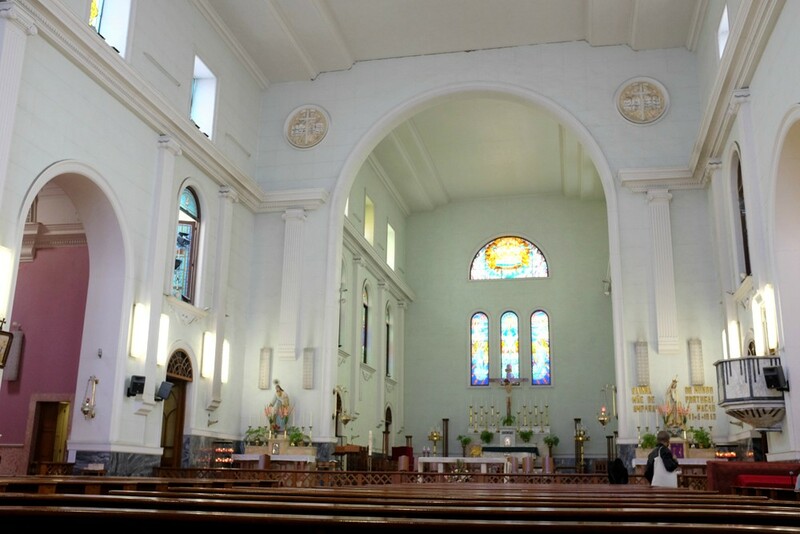 We also visited St. Dominic's Church. 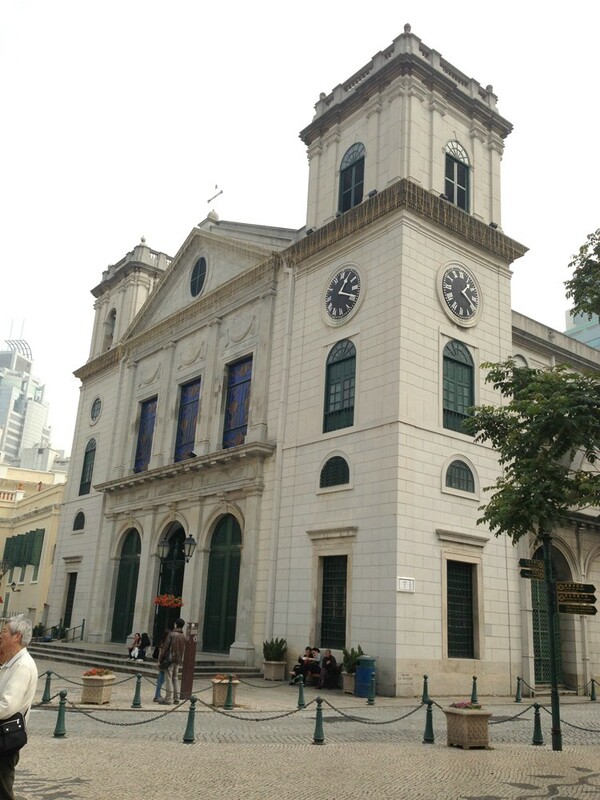 Macau Cathedral is few minutes walk from Senado Square. 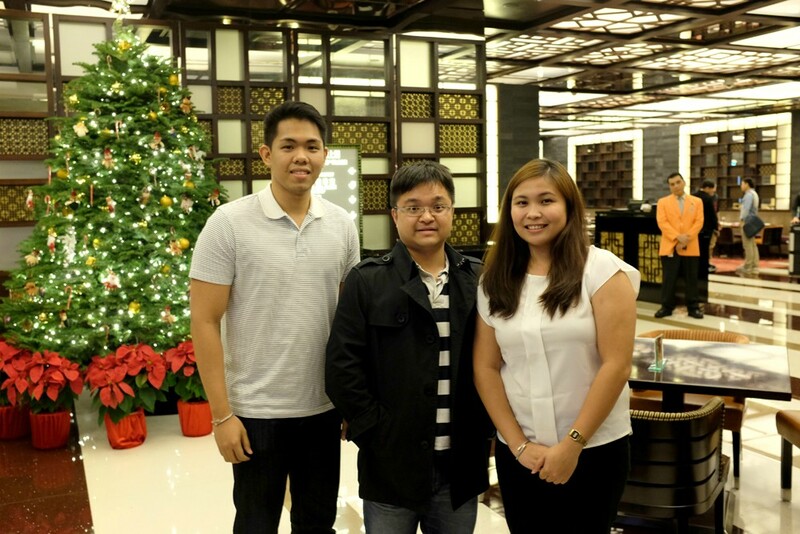 Paolo has this belief of making a wish everytime you visit a new church. Obviously I visited a lot this year alone so I really hope my wish comes true by 2014. Hehehe. 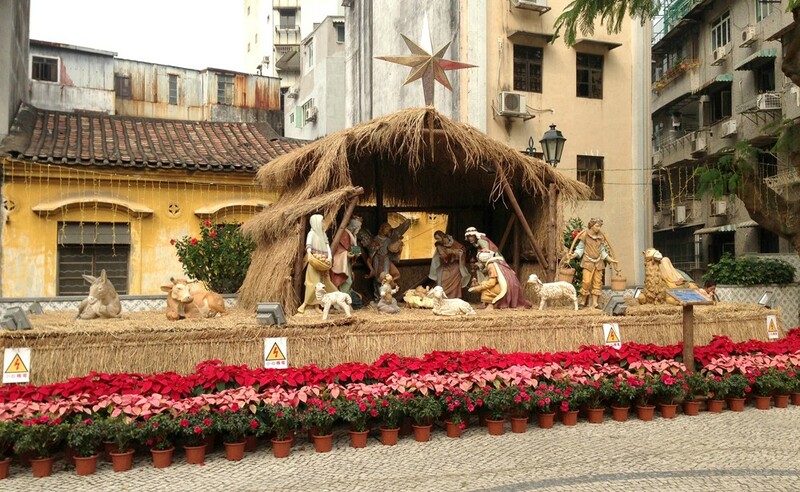 Spotted this beautiful display of The Nativity right outside the Macau Cathedral. 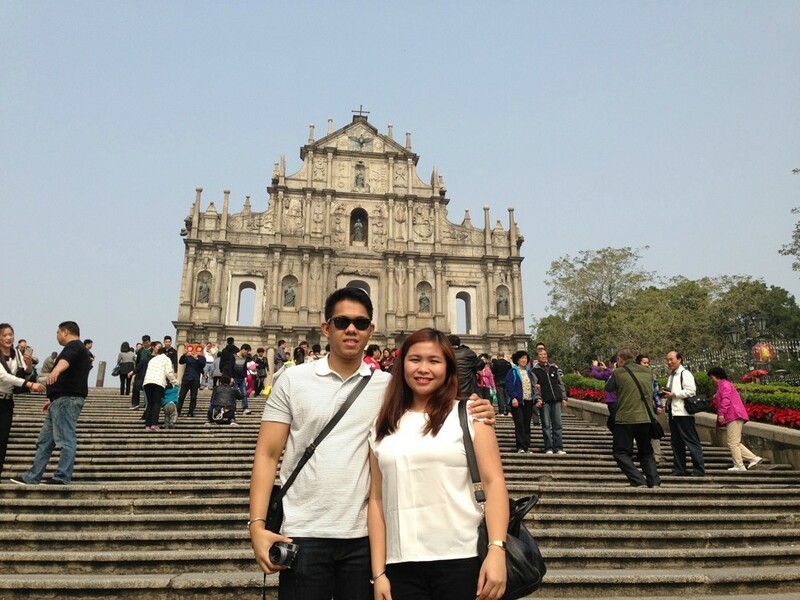 One of the famous landmarks in Macau would be the Ruins of St. Paul. 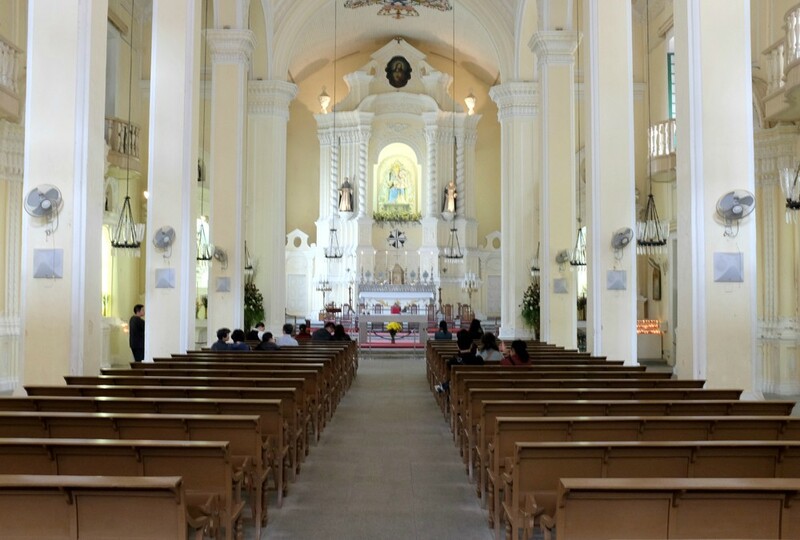 Built in the 16th century, Cathedral of St. Paul burned down and rebuilt multiple times but burned down again during a typhoon in 1835. All that remains now is the stone facade and grand staircase leading up to the cathedral. After our walkathon, it was time to eat. Food trip! 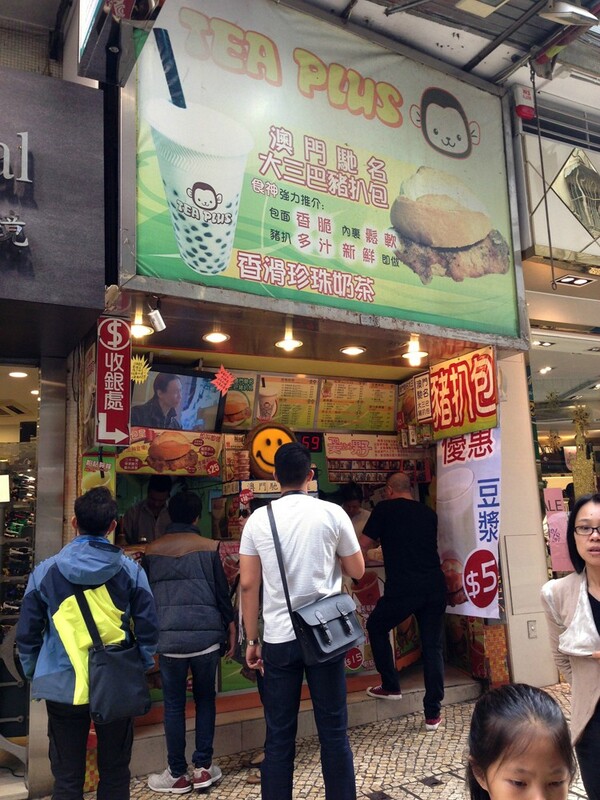 If Hong Kong has pork buns, Macau has pork chop buns. 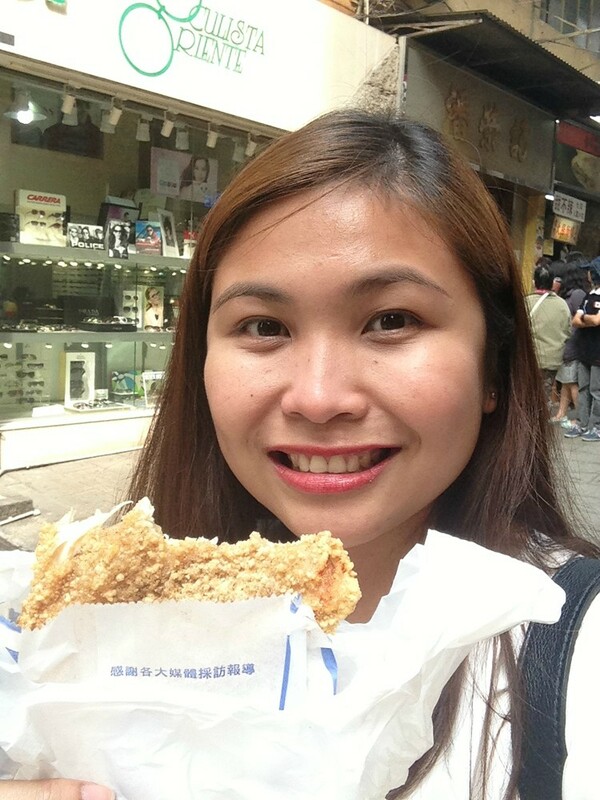 It is one of the popular snacks in Macau but I didn't really liked it that much. Maybe I'm not just a fan of their crisp bun. 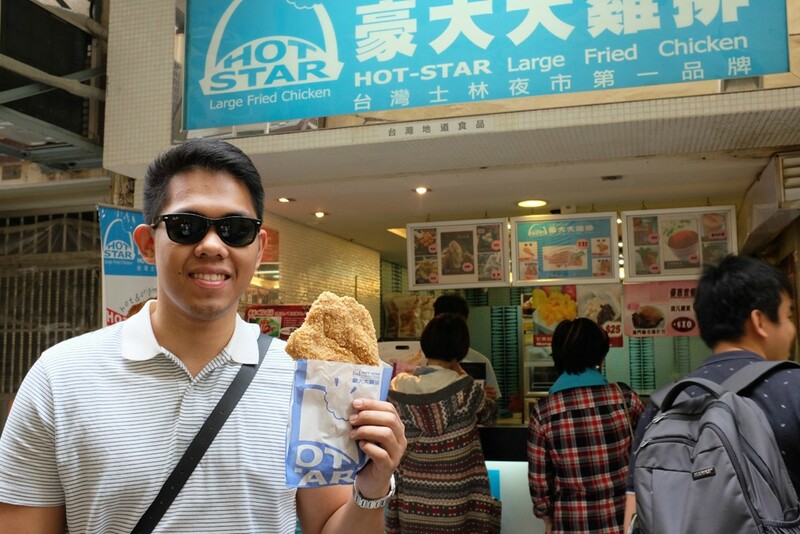 We also found Hot-Star Large Fried Chicken which originated from Taiwan. 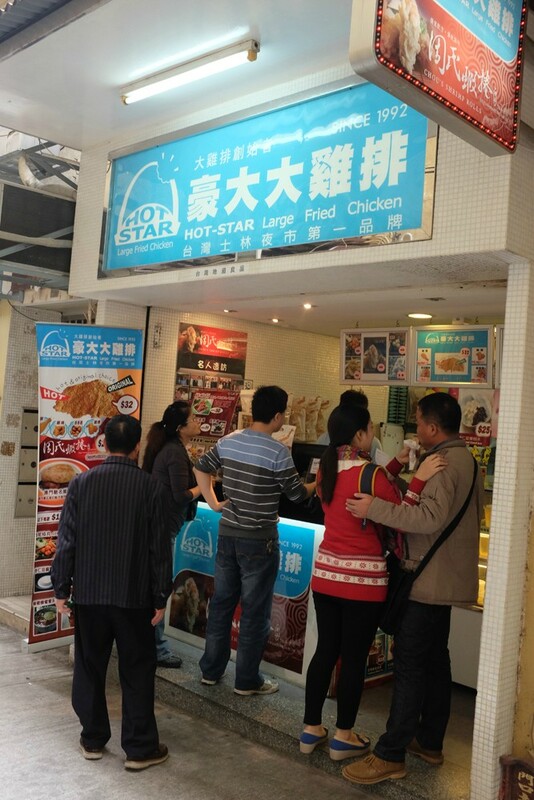 An order of their original large friend chicken costs HKD32.00. One order is good for two. 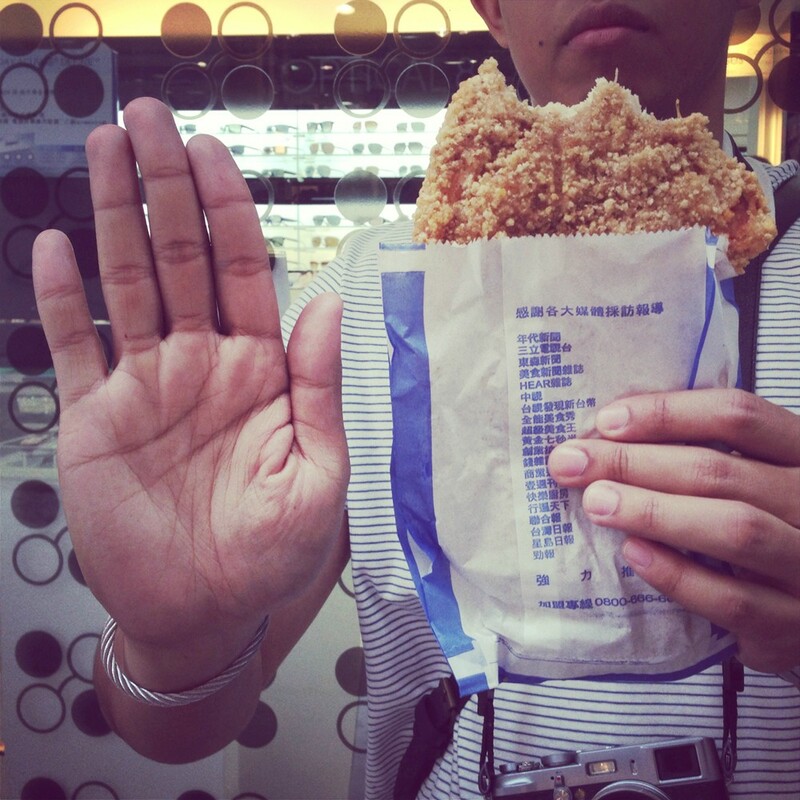 It's bigger than Paolo's hand. Crazy! But it tastes good! Kulang ng kanin. Hehe. 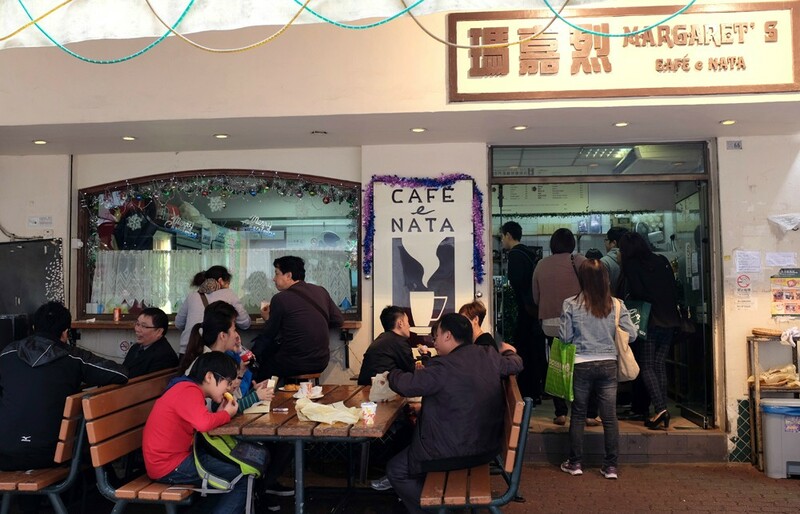 Asked my new found friend Andes where to buy the best egg tarts in Macau and he led me to Margaret's Cafe e Nata. 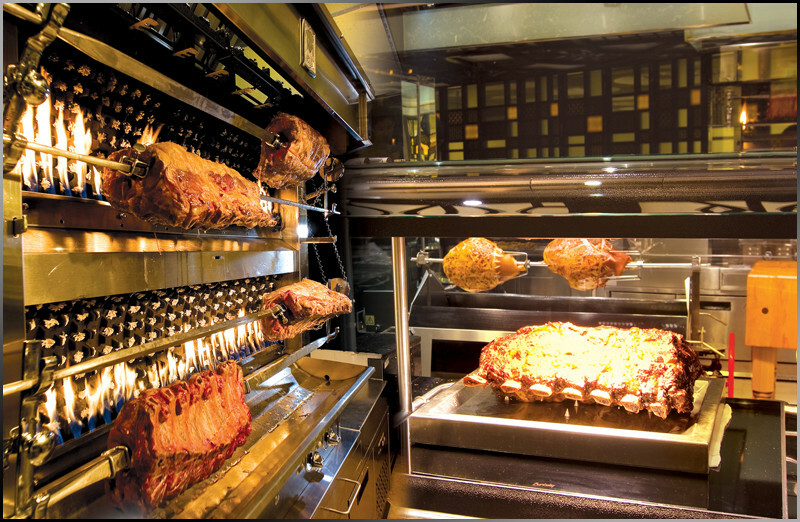 Photos grabbed from Grand Lisboa Hotel and Macau.com. "Enjoy over 70 meters (230 feet) of sumptuousness! 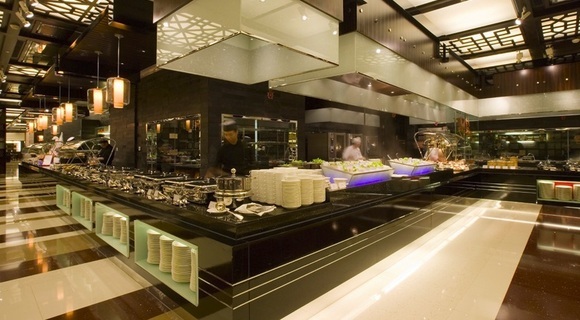 The Grand Buffet is not only the longest buffet line in Asia but its “a la minute buffet” concept where the food is cooked in small portions right in front of you. 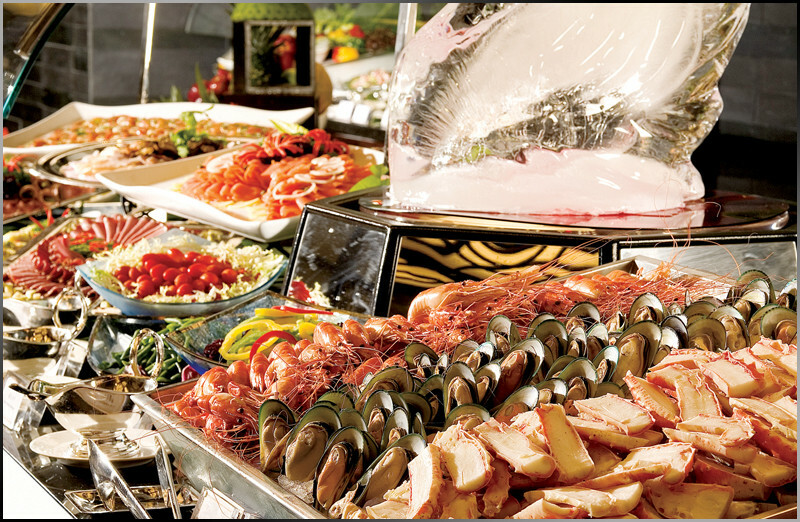 Experience the incredible variety of international delicacies ranging from Seafood, Mongolian Grill and Cantonese Barbecue to Tempura, Teppanyaki and Indian Curries… all being cooked right before you!" Here's Andes after our binge eating session. Lol. 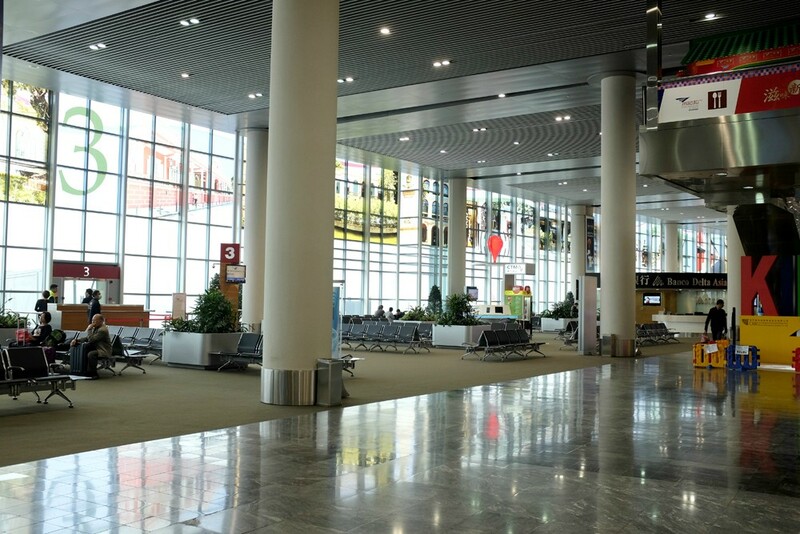 Macau International Airport reminded me of Terminal 2 of the Ninoy Aquino International Airport. It was small and had a few stores inside. I just wished they offered more in terms of food. 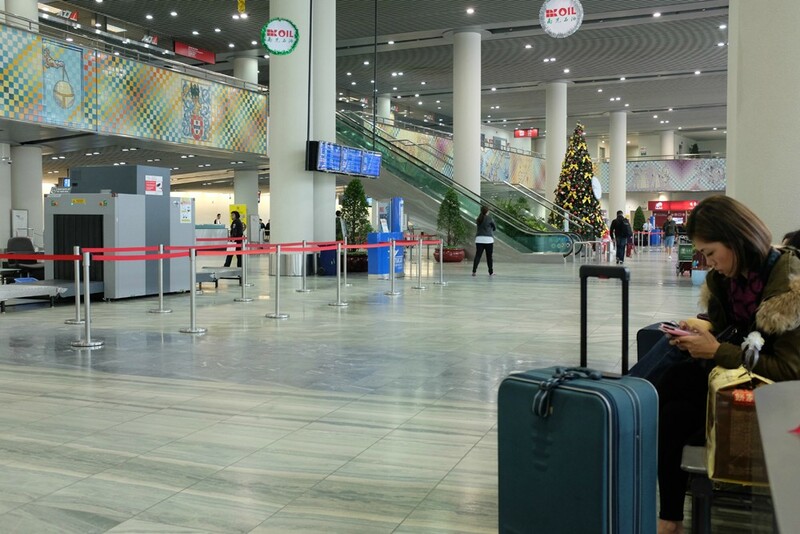 They have McDonalds but that's right outside before entering the immigration though. 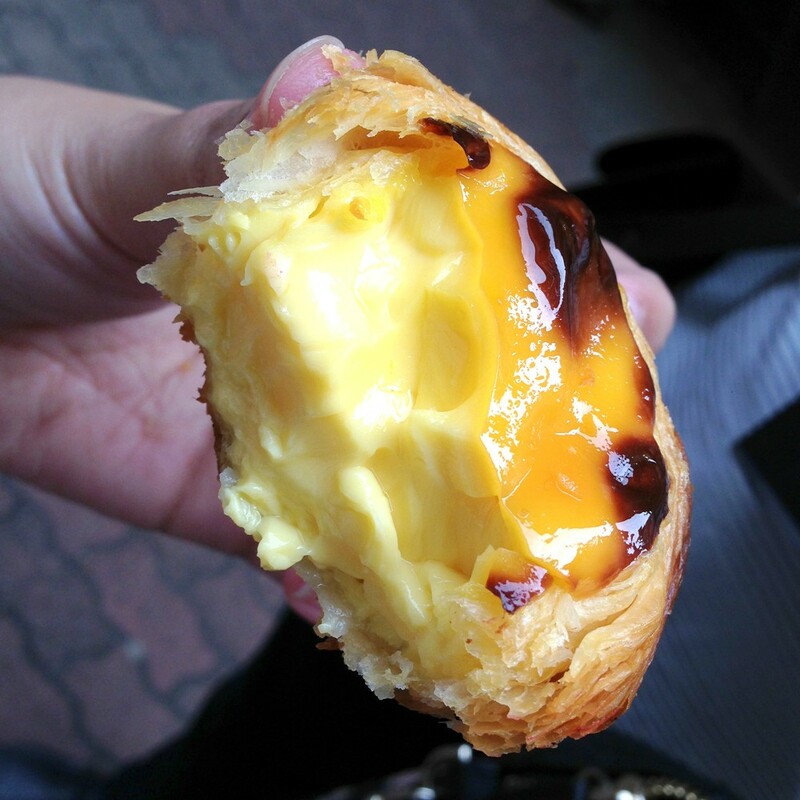 OMG that egg tart! I want! 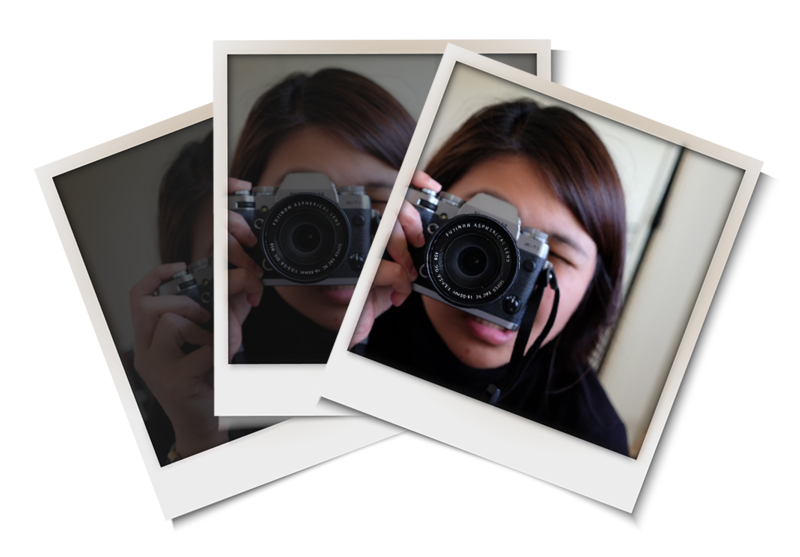 Hi, I'm Czarina Maye a.k.a The Travel Junkie. 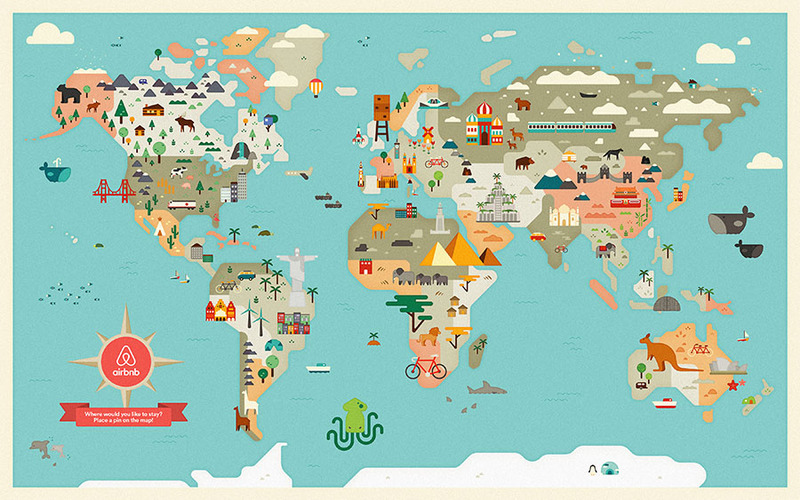 My goal in life as a new mom is to see the world with my family, one country at a time. When I'm not traveling I'm most likely staying at home taking care of my son or producing videos for my upcoming Youtube channel, Mema Maye. Want to know more about Maye? 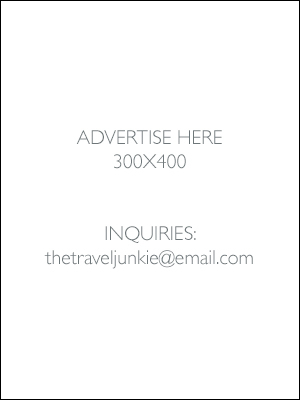 All trips featured in this blog are mostly personal and/or may be sponsored unless otherwise stated. 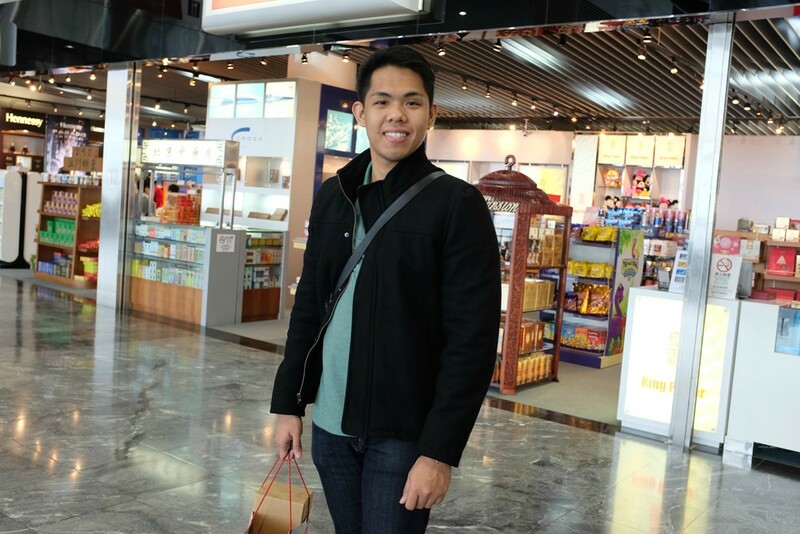 I'm currently accepting donations in order to maintain my travel blog. Donate now and in return I'll take an awesome portrait shot of you!